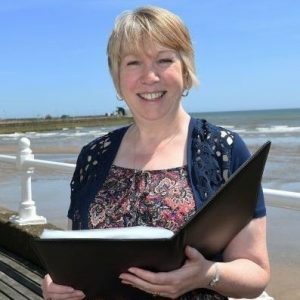 I’m Gina Wright-Independent Civil Celebrant serving East and North Yorkshire. I am here to create your ceremonies for life, love and remembrance. Since then, I’ve found myself training in local government-travelling the country advising teachers and even working in a nuclear bunker!! I became a Celebrant because I love working with people and creating a sense of occasion. Literature, poetry, music and drama are my passions. For those of you wanting a special theme I even perform unique ceremonies in an old nuclear bunker for a truly Sci Fi or vintage feel! Check out my website for details. listen to those special memories them share them with family and friends on one of the most important days of their life. It’s a huge privilege. Where ever you choose, together we can create a ceremony that with no restrictions to your creativity. It’s your story, your beliefs and your day. We can include the traditional as well as special enhancements. I can also offer a lifetime of experience working with families and people who find themselves in difficult and stressful circumstance, should the occasion arise. But…no matter what… I never leave home without my sense of humour!! I believe everyone should have the ceremony that reflects their beliefs, value and traditions to mark their important rites of passage. It will be my greatest pleasure to work with you to create the perfect ceremony for love life and remembrance-unique to you. Creating a personalised ceremony, unique and above all meaningful to you The only limitation is your imagination.